Best one of Perugia, jut too many insects in the evening. Die Platte ist im Seebad, hier wird Eintritt verlangt. 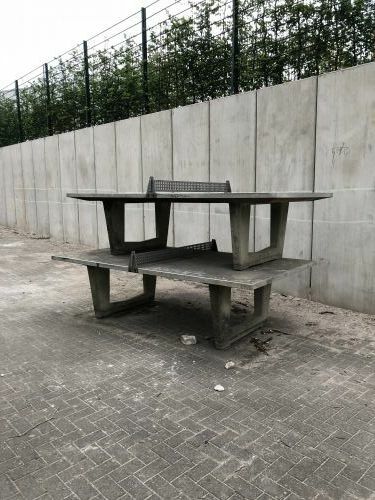 two excellent tables (polished concrete/stone) with metal net.